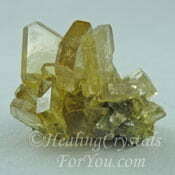 The crystal properties for stones and crystals starting with B is the subject of this page. The stones and crystals on this page might possibly be discussed on various other pages on the site, and in some cases in their own individual page. 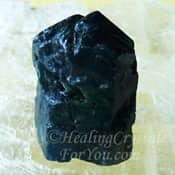 For the stones that do not have a specific article written about them, you will find a brief synopsis of the healing aspects and metaphysical actions of the B stones on this page. Once the in-depth page has been written you will no longer find that information here, but will need to go to its page to read about it. 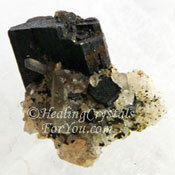 Discover some uncommon healing crystals for you to use, and learn more about the stones listed here. 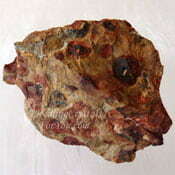 While some are uncommon or even rare stones, many have or will soon have an individual page written about them. There are a large number of stones in this alphabetic group starting with B. 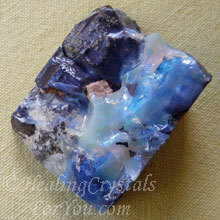 Many of the stones in this group have now had individual pages with their crystal properties. 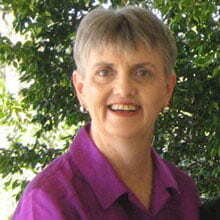 As they are written I am removing the short paragraph about them from this page. Check out the pictures below, and see if the name under the picture is highlighted with a link. Use this link to take you to its in-depth page. 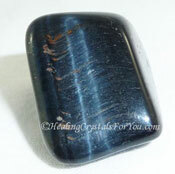 You can simply go to the page about that stone by following their link and read about its attributes. 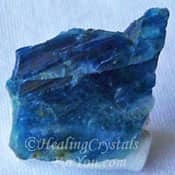 Have a look at pictures of crystals featured below, to see if the crystal that you are seeking information about is listed there. At the bottom of this page there is a chart, which outlines which chakras the stones will assist. 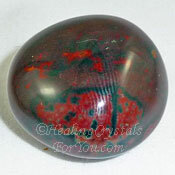 It gives details on which chakras that each stone may particularly benefit. 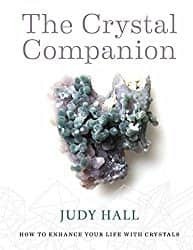 Many stones have crystal properties that benefit more than one chakra or area of the body, so you may find them in more than one chakra category within the table. 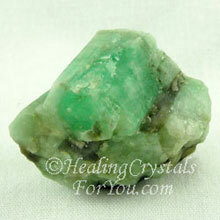 Beryl generally is a stone that teaches you that you should do only what you need to do, rather than too much. 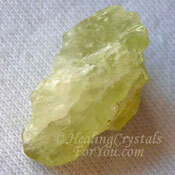 It has excellent crystal properties that aid you to deal with stress, and is helpful for calming the mind. 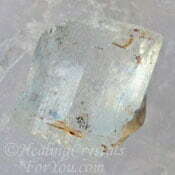 Beryl may be pink, green, blue, colorless, yellow or red. The names of the crystal stones in the Beryl family are the pink crystal Morganite, the lovely green ones are Emeralds, see image shown on left. 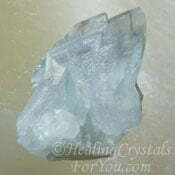 Blue to blue-green beryl crystals are called Aquamarine and the colorless beryl is Goshenite, also known as White Beryl. 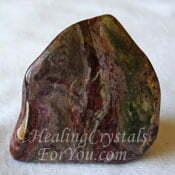 The yellow to yellow green stones are Heliodor and the rare raspberry red stone is Bixbite, see picture further down the page. 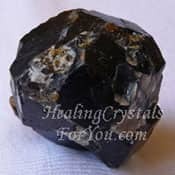 Crystal balls are often made out of it, and balls made from the clearer crystals are excellent tools to use for scrying, as they may open and activate the crown and solar plexus chakras. 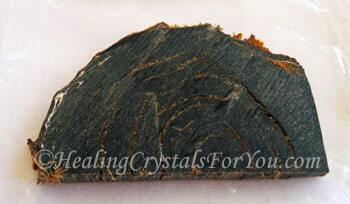 Biotite Lens is an interesting stone that has a number of excellent crystal properties, including aiding the healing of problems in the eyes, and assisting motor problems. Its energy helps you to look at problems using your mind but it brings through loving energy from your heart. This vibration helps you to look deeper into the issue, and this helps you to have greater clarity when making decisions about a specific situation. 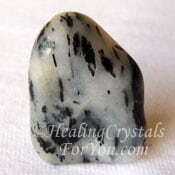 This stone is helpful to aid you to be more organized, systematic and efficient. 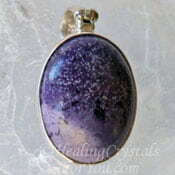 It vibrates at the crown chakra to aid a better connection to Spirit, and it may enhance your spiritual growth. 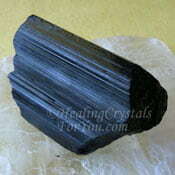 Biotite Mica occurs in thin sheets, in layers in the stone. The vibration of this stone may help you to look at situations in your life from more than one point of view. 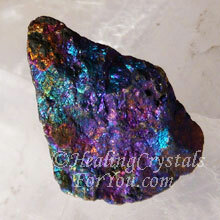 It can aid healing of the eyes and its crystal properties may assist you to look at situations in a different way as well. It may help you to let go of immaterial and inconsequential parts of an issue that may be concerning you. It enhances the values you bring to every issue, helping you to see things in a more loving and compassionate way. 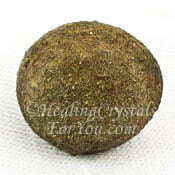 It has a good grounding action, working through the base chakra to connect you to the earth. 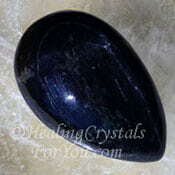 Black Agate is helpful to aid you to interpret your dreams, and to discover how what you see in your dreams applies in your life. 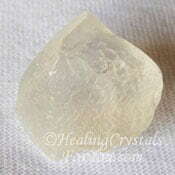 This crystal is helpful to assist you to see what is behind those things you are fearful or apprehensive about. Its crystal properties may aid you to learn more about the deeper inner fears that you have not allowed to surface, from your inner self. 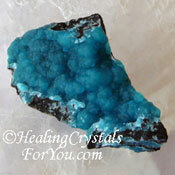 Using this crystal may help you to rise above limitations based on your fear. Larger pieces my be used for gazing, and this may help you to discover more about what is behind difficult situations in your life. 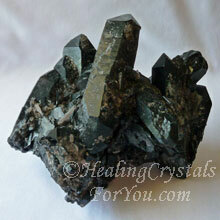 Black Amethyst has many qualities in common with the Purple Amethyst crystals. 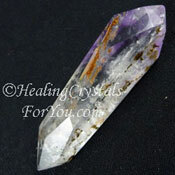 All types of Amethyst are good psychic protection stones, but in addition the black stones have a good grounding vibration. 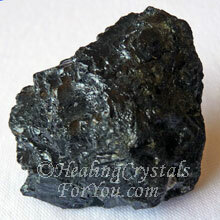 The crystal properties of Black Amethyst also makes them excellent healing stones, that help rejuvenate your entire system. 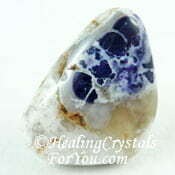 This is a helpful stone for healers to use on days when you have perhaps done to much and need to pick up and replenish your energy. 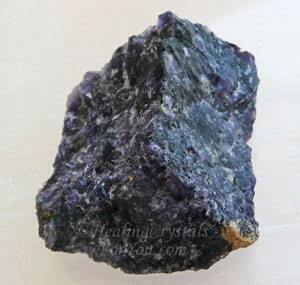 Black Amethyst is a good crystal to use in meditation, as like purple amethyst it is stimulating to the higher chakras, and in particular the third eye, while at the same time grounding you. Black Ammonite stones embody a fossilized animal from deep in the past. They work within the base chakra to help you to release negativity, and they are said to be able to help you to retrieve past life memories. 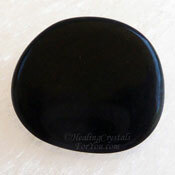 They have crystal properties that may aid you to recover more easily from the trauma associated with doing this work, and like many black stones they carry a highly protective vibration. Due to its circular spiral design its energy extends outwards, bringing positive growth within your life, and it is said to aid the breathing process. 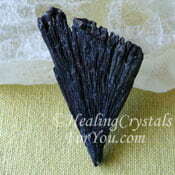 Black Coral is a helpful stone to wear on the body as when worn it helps you to release negativity. 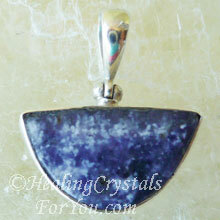 As it absorbs negative energy it should not be worn continuously without being cleansed. 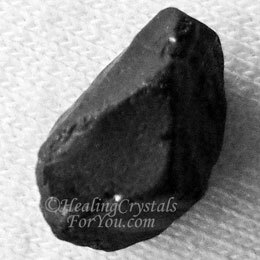 This stone also has good crystal properties to assist healing, and it is said to be helpful to aid the body to release toxins. 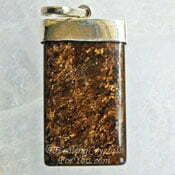 It assists both the skin and internal organs of the body. 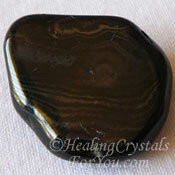 It is a beneficial stone to enhance creativity, and is also helpful to aid you to feel calmer and more at peace. Use in meditation to help you to release fear. 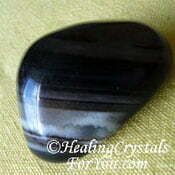 Black Merlinite is another name for Psilomelane, which is a rather mystical stone, that may attract magic into your life. 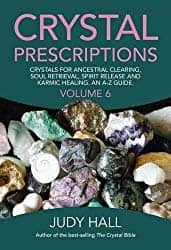 It can be used to access the Akashic records, and its vibration may assist you to attain a trance state, that can be utilized for channeling and for gazing. If you look into your stone, often you can see what looks like a picture of a landscape of some sort, often with hills and valleys. 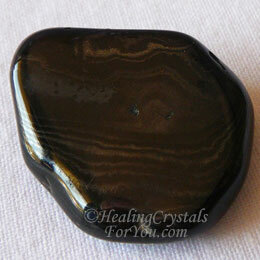 Gaze into its depths to help you to go into a trance and look at what is occurring in the far distance. 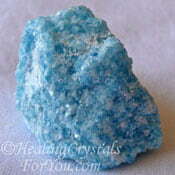 This stone has many useful crystal properties, and it has a strong energy to aid emotional healing. It is said to bring positive things into your life and it may help you to let go of undesirable behavioral patterns. It can assist you to release negative thought patterns that have been trapped in your unconscious, from earlier life experiences, and once recognized they may be released from your life. 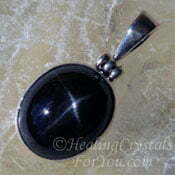 Black Onyx is a stone of magic, and it is often used to carve magical stone amulets. 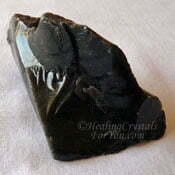 This is a great stone for past life work, as it will heal old injuries that have their roots in past life trauma. 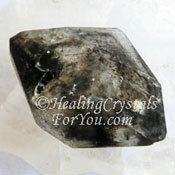 Their crystal properties may also aid you to heal old grief or sorrow from this life or others. It provides a feeling of strength and will assist those going through stressful circumstances, as it has a good energy to help you to deal with stress. It will assist you if you are stressed or anxious to feel calm. 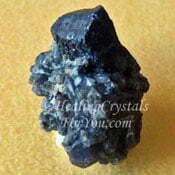 Black Quartz is commonly colored by the inclusion of carbon and other minerals within the crystals. 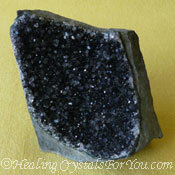 These black crystals have metaphysical properties that relate to their strong action for grounding you. Use them in your daily meditation, as you can use their ability to be programmed and also ensure you remain grounded at the same time. 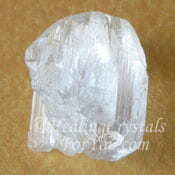 Like all varieties of quartz these stones have good amplification properties and they may be programmed to assist you to achieve those things you desire. 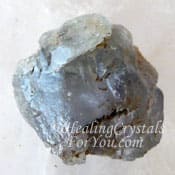 Pieces of this crystal can be programmed with positive affirmations and kept in your environment or pieces made into jewelry can be worn, providing ground at the same time as helping you to achieve worthwhile goals. 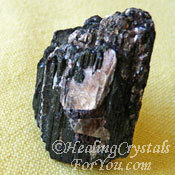 Black Spinel is a strong grounding crystal which will help you if you have been doing a lot of work with high crystal energy stones. It will help you to ground excess high vibration energy to Mother Gaia, via its action within both the base chakra and earth chakra. 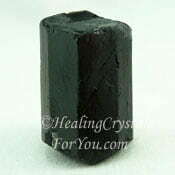 Because Black Spinel has crystal properties that will help you to release issues from the past, it is a helpful stone to aid you to rebuild relationships that may have become discordant. These attributes make it a useful stone to keep on you if you are working on reconciling differences with family or loved ones. 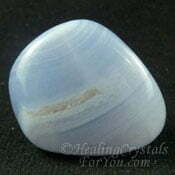 Blue Chalcedony has a lovely soothing action, and will quickly help to calm you when severe stress is making life difficult, and it has strong crystal properties to aid you emotionally. It may be beneficial to calm anger, and may also enhance your creativity. 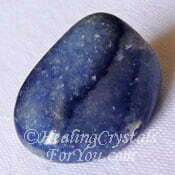 It has a good action at the throat chakra, and may aid communication with beings in the higher realms. 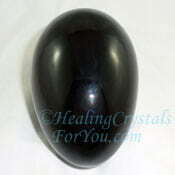 It is a strong psychic communication stone that may aid the development of psychic gifts. 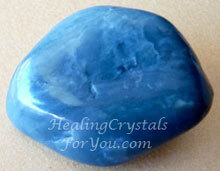 This blue stone will help to center you in the present rather than constantly worrying about what the future may bring. 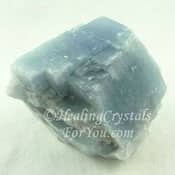 Blue Fluorite resonates strongly within the throat chakra, with crystal properties that are beneficial to aid clear and unambiguous communication. 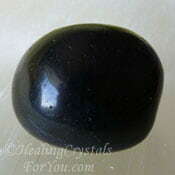 It is also a strong third eye chakra stone that will enhance your psychic abilities and improve both accuracy and clarity. Its action may open the third eye and stimulate an improvement in brain activity, and may help you to have a more orderly approach to your thinking. 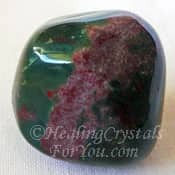 It is a good stone to help you if you are studying, as it may enhance your concentration and may help you to absorb what you are learning. 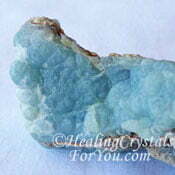 Blue Jadeite crystals are known by a few names including Dianite, and are a type of Nephrite. 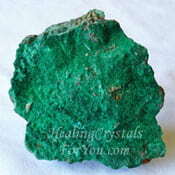 Both Jadeite and Nephrite are similar in structure. 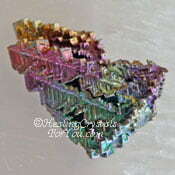 These crystals are amphibole rich stones, and were discovered in 1997 in the same area in Russia where Charoite is found. 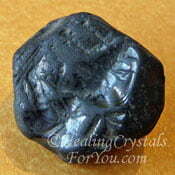 They were called Dianite after Princess Diana, probably because of their sweet energy. 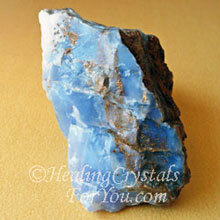 These blue stones have helpful crystal properties, with an energy to aid anxiety and stress. 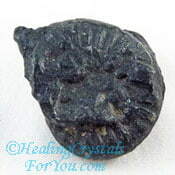 They will help you to make a connection to the third eye and crown chakras and may aid you to develop psychic abilities, including intuition. 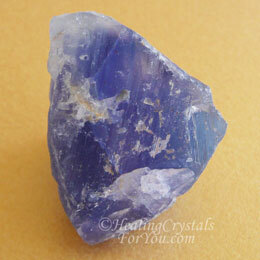 Blue John Fluorite comes from Derbyshire in England, and commonly occurs with lovely purple, blue and colorless colors in the stone. The crystal properties of these stones are known for their action to encourage change and an expansion of your personal growth. They are said to stimulate altruistic tendencies, as well as assisting you when making decisions to do what is for the highest good of all concerned. Use it when traveling to help you to have new interesting experiences, but also being aware of the desires of others traveling with you, who may have other ideas. 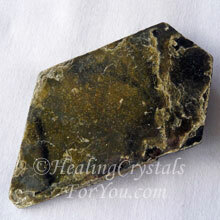 This stone has a good action to aid healing in a number of ways. It may boost your agility and enhance energy if you are fatigued, as well as helping muscle related problems. 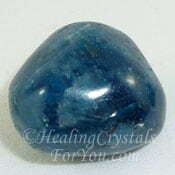 Blue Quartz is the result of inclusions of minerals within the quartz, such as Blue Rutile, Blue Zoisite or Blue Tourmaline. 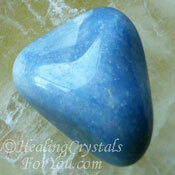 It is primarily a throat chakra stone, that encourages you to speak what you are thinking, with greater clarity. 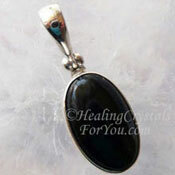 It helps you to let go of fear and encourages you to be comfortable with being independent. 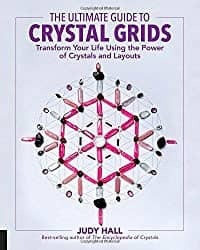 Its crystal properties may aid you to connect more easily with other people, and may assist you to discover new ideas, and different ways of looking at life. 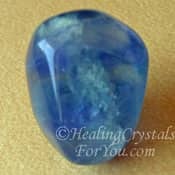 Blue Scapolite has a lovely energy that is emotionally calming and can assist you to let go of bad habits that you have been having difficulty releasing. 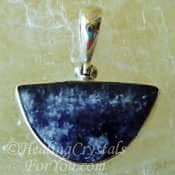 Its energy stimulates both the throat chakra and the third eye, and this may help with the development of your psychic abilities, including your telepathic gifts. 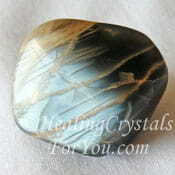 Another of the crystal properties that this stone embodies, is the way that it stimulates your mental and analytical abilities. 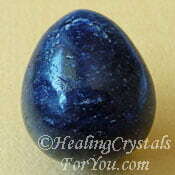 This stones energy may also help you to communicate better. 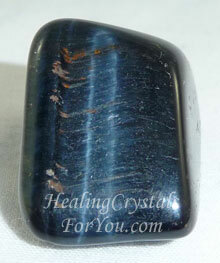 Blue Tigers Eye stone may also be referred to as Hawks Eye or Falcons Eye. 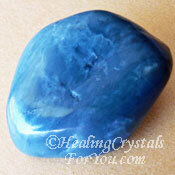 The blue variety is a strong throat chakra stone that will aid communication and help with public speaking. 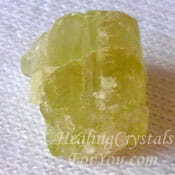 Its crystal properties also resonate within the third eye chakra, and allows you to see life from a higher perspective. It aids you to recognize when things that are communicated to you can be of value in your life. 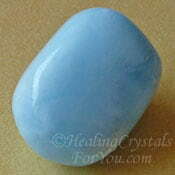 This crystal stone will aid you to put them to use in your life, and it is also said to bring good luck. 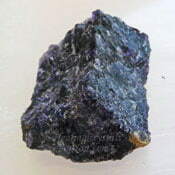 Bornite is also known as Peacock Ore. 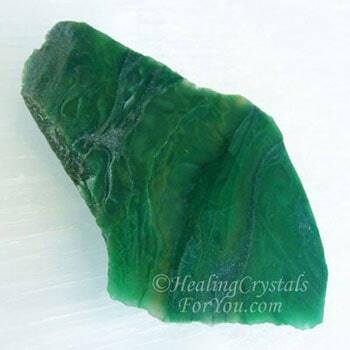 The crystal properties of this bright stone will help you to be aware when there are obstructions that are stopping you from achieving your goals. 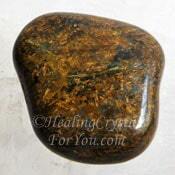 The energy of this stone will also help you to discover ways to steer clear of those things that may be hampering your progress. It will assist you to release objects and people that you have been holding onto more easily, and help you to be aware of what you no longer need in your life. It helps to stimulate feelings of happiness and a realization that life can be good regardless of what may be happening. 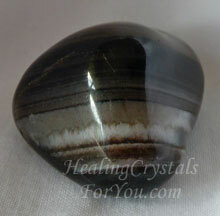 Botswana Agate has a good energy within the sacral chakra that helps to enhance your creativity. It works by aiding you to let go of emotional issues that have been blocking your creativity. 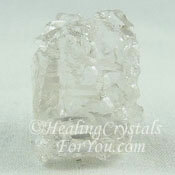 Their crystal properties aid you to find solutions to problems, and to be clear about the action you need to take to move forward once you are aware of the solution. 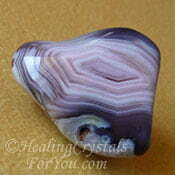 The energy of these stones stimulate the crown chakra as well as energizing the entire auric field. They have an excellent energy for physical healing, and are known to help depression and aid detoxification. 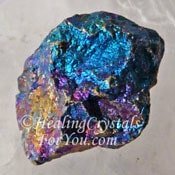 Boulder Opal have a beautiful energy that may assist you to think more clearly, as they seem to remove old extraneous thoughts, and allow a new way of thinking. 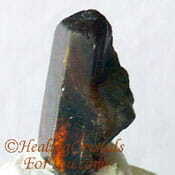 These stones are commonly a brown color and they may or may not contain bright sparkly or fiery inclusions. 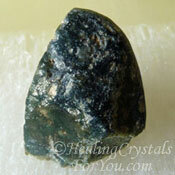 The stones with the lovely bright inclusions are very popular to make jewelry as they are very attractive. These stones come in a variety of colors and regardless of their color their crystal properties are similar, as much of their energy relates to how they were formed via a quite slow process over a long period. They have a good healing action in many areas of the body, and may help to root out old issues that have been hanging on. 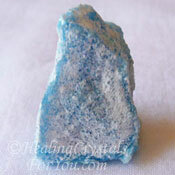 Bowenite has been found in a number of locations, including in New Zealand, where it has traditionally been used and revered by the Maori people. 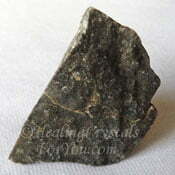 It is one of the possible minerals that make up Maori Greenstone. 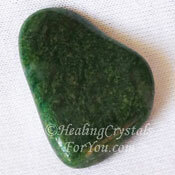 Greenstone is well known for being highly protective and is said to emit a protective field of energy that deters those who may mean you harm. 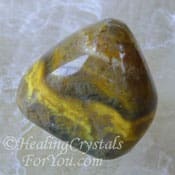 It is a stone that is useful when you are moving locations, as it assists you to let go of the past and to embrace the changes that your life brings. 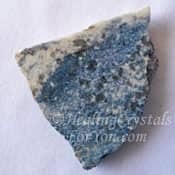 It has a lovely energy with beneficial crystal properties that may assist those who feel depressed, anxious or stressed, and it will help you to feel lighter and more liberated about your life circumstances. 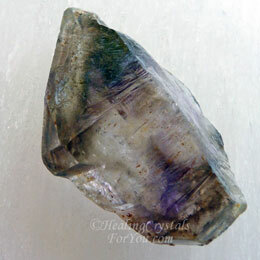 Brandberg Quartz crystals are sometimes also known as Brandenberg Quartz or Amethyst, and they have many qualities in common with Purple Amethyst. 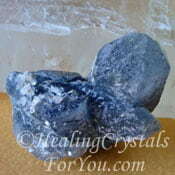 They have many of the same crystal properties, except they seem to be of a higher vibration. 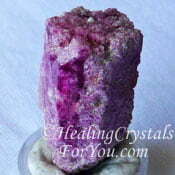 These crystals have a beautiful strong energy that makes them an excellent healing crystal. The look of the stones can resemble a few other types of quartz, but many are predominantly clear quartz containing phantoms in a lovely purple Amethyst color. 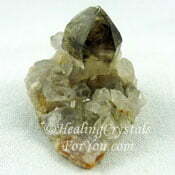 Some may also have other colors such as yellowish brown Smoky Quartz like inclusions. 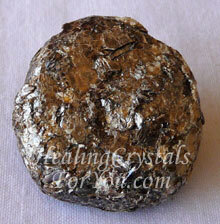 These stones have excellent metaphysical qualities to use for spiritual growth. 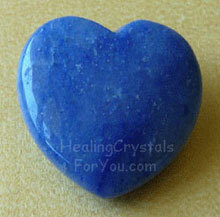 They will aid you expand your consciousness and balance all aspects of your being. 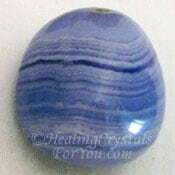 They can be used at any chakra to activate and re-align your energy. They are known to be helpful to bring you healing on a number of levels, and in particular are useful to stimulate the immune system. 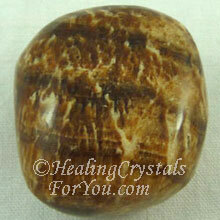 Brown Aragonite crystals are useful to assist you when you are starting a business, to help you to avoid feeling overcome by all you need to get done. They have a good grounding action, and may aid you to deal with anyone that is hard to get on with, or troublesome in any way. They have a good healing action in the body, helping to aid you to recover from back issues such as fractures, disk problems lumbago and other related problems. Buddstone aka South African Jade is a variety of green stone from South Africa that is often used for carvings, and is a type of Verdite. 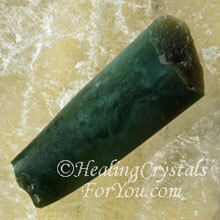 It may also be sold as South African Jade, even though its not really jade. 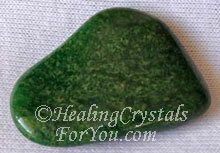 The crystal properties of this stone can help to stimulate the lower chakras, from the heart chakra down. In particular the heart chakra may be stimulated, as well as the energy systems of the body relating to the rise of the kundalini. 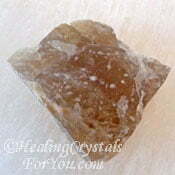 This crystal has a number of excellent healing properties. It may be used to aid the growth of endurance, courage and faithfulness and aid the healing of blood disorders and other issues related to the heart. For a general overview of the chakra stones please see the chakra crystals and stones page. If you need to learn more about what chakras are, there is also more detailed information about the meanings of chakras on its specific page.... use the links below to go to various chakra stones pages. 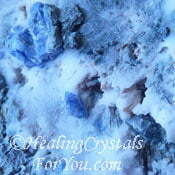 Want to learn more about any of the above crystals? 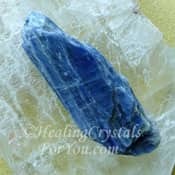 If you want to learn any more about crystals that you have been reading about on this page, or if there are any healing stones that may interest you that are in another part of the alphabet that weren't mentioned here, the solution is easy! "We are what we repeatedly do. Excellence therefore is not an act but a habit." Aristotle.